After a night of barely sleeping and being woken by a barking dog in between bouts of staring at the ceiling it’s comforting to have to put on warm slippers and a sweater because the temperature has suddenly plummeted. The date is August fourth and the thermometer is hanging out around 45&#0176 F at the cabin. The sky is gray and now there are water drops falling from the edge of the roof, but no rain so it is probably misting outside a little. It’s been a while since I’ve written so I thought I’d take this opportunity. Yesterday was much the same, maybe a little warmer in the morning. It looks like the next couple of days will be the same. Kate and I will be headed to the Farmer’s Market soon to get some produce, so now I have to write fast. We’ve both been really busy with school-work and studying the last few weeks. Also, Kate has been posting again and changed her blog to drycabinchronicles.com so you should check it out. There’s been a boom of little baby birds flying around Fairbanks in the last week, lots of tiny common and boreal chickadees with big heads. A couple of days ago we saw our first yellow warbler in the backyard. It was really cute. I did go out one day last weekend to Murphy Dome for a little walk and picture taking. Sometime in September I plan on doing a couple of foot-pounding long day hikes and I want to work out how to carry my camera gear and pace my picture taking so I can still manage to hike 20 or more miles in the eight hours of daylight we’ll have. I won’t have time to do my slow, wandering, look-at-everything, crawl through bushes and stand on every rock pace I normally take when I go out and shoot. So, I’m basically setting some small photo projects so that I’m better at taking pictures on the fly and better at choosing my shot, which means taking fewer pictures. My shutter will also thank me, I’ve already taken over 16,000 pictures with my D7000 that was just purchased in January. Kate and I took Moose (the dog) for a walk on the UAF trails near Ballaine Lake. The Sun is already starting to get pretty low around 9pm. This made for some beautiful reflections on the water. The light coming through the trees isn’t bad to look at either. We are currently losing almost 7 minutes of daylight per day and the Sun will be setting before 10pm in 2 weeks. I sometimes hate the fact that it’s light out 24-7 in the summer. I miss watching the sunrises and sunsets that are so gorgeous here most of the year. In the summer months the Sun barely dips below the horizon in the early morning for a few hours and I rarely see the color that we get in the fall, winter, and spring. I do miss the green color for most of the year, though. By late January even the spruce trees take on a dull gray tone as I’m sure their foliage struggles with the small amount of light received. I don’t miss the bugs though. The mosquitoes have returned with good numbers after recent rains. We are nearing the end of them for the year and I look forward to going outside without constantly swatting every patch of exposed skin. Another night of walking, another night of mosquito swatting, and another night of gorgeous light. This time with the Sun to our backs as it spread the gold-on-green color all over our path. Out on Murphy Dome on a clear day. There’s a whole lot of nothing out that way. 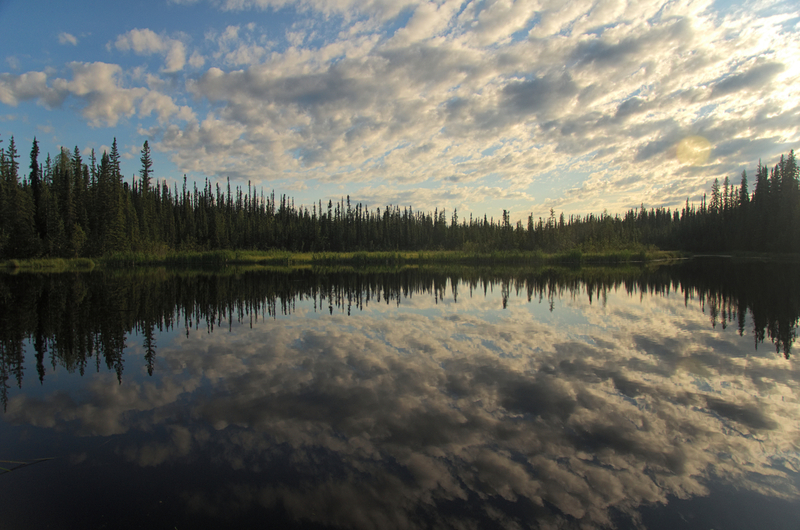 If you were to walk in the direction of this picture you would cross the Chatanika River and then wander into the Minto Flats. Eventually, if you head more north and less west, you may cross the end of the Elliott Highway near Manley Hot Springs before arriving at the Yukon River. 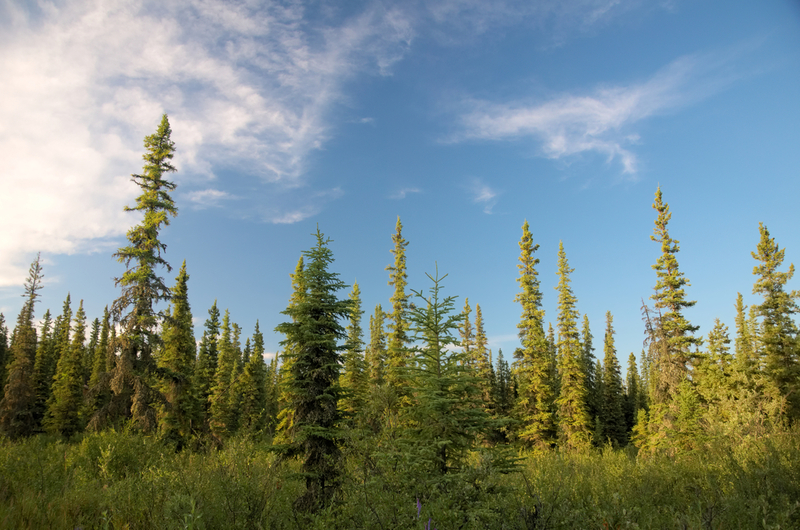 Maybe you’d hit the village of Tanana at the junction of the Tanana and Yukon Rivers. It can’t be accessed by road, just fly or float (or trudge through marsh). Keep going until you reached the Chukchi Sea or Kotzebue Sound. 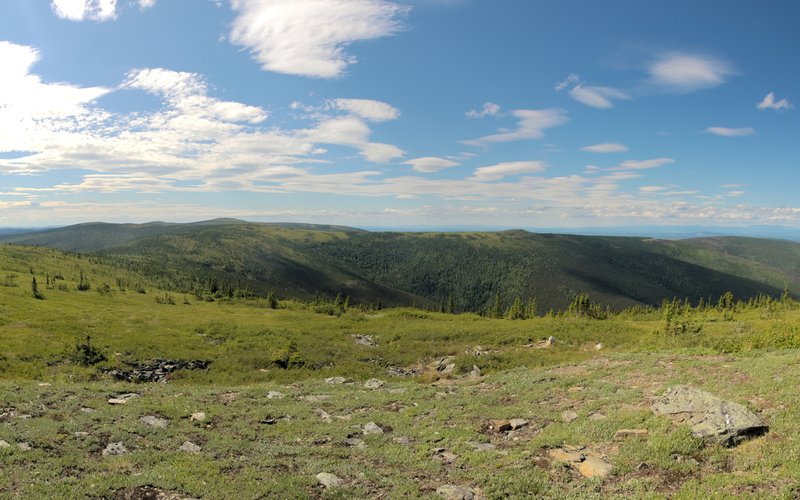 That’s one of the things that I love about Fairbanks, this place is a 20 minute drive and a short walk from my house. From here, if I were so inclined, I could walk over 400 miles to the Bering Straight and never cross another road. You know, if I were so inclined. Or, maybe wait until winter and ski to there on the Yukon River. Or maybe not, because good grief this place is beautiful. This is the same spot that Jason and I skied and snowshoed out to last winter. If you haven’t seen those pictures yet, you should check them out. I got frostbitten toes for those shots! After a hike it’s a relatively short, beautiful drive out the Goldstream Valley to Fox. 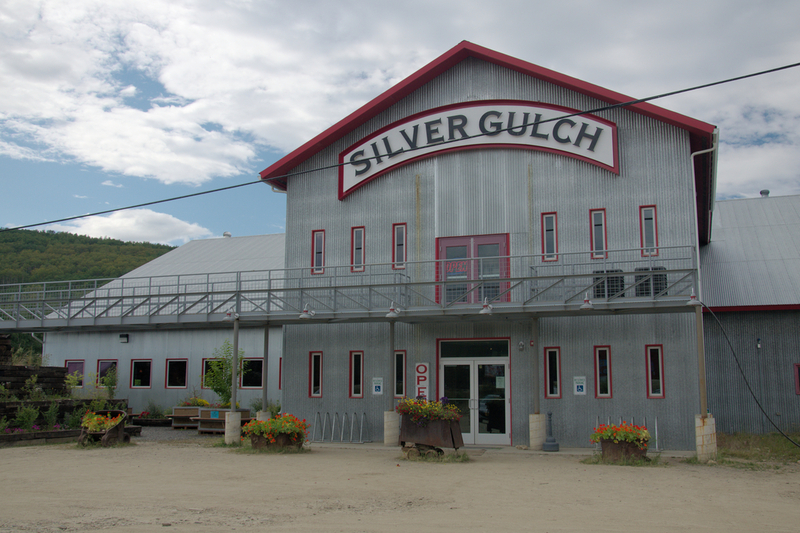 There you can find the Silver Gulch Brewery, fill up some growlers (or I guess sit down and eat) go home and drink some beer. Yay, beer!